Asparagus! I love asparagus. Make this roasted asparagus wrapped in prosciutto and it will be your new favorite side dish. Growing up, my dad always had an enormous asparagus garden. In spite of the constant stream of asparagus coming through the back door, I never got sick of it. Thankfully, my kids love it, too. And my dogs. No lie. The dogs will sit patiently waiting for you to snap the ends off of the asparagus and hand them over as treats. Better than biscuits. 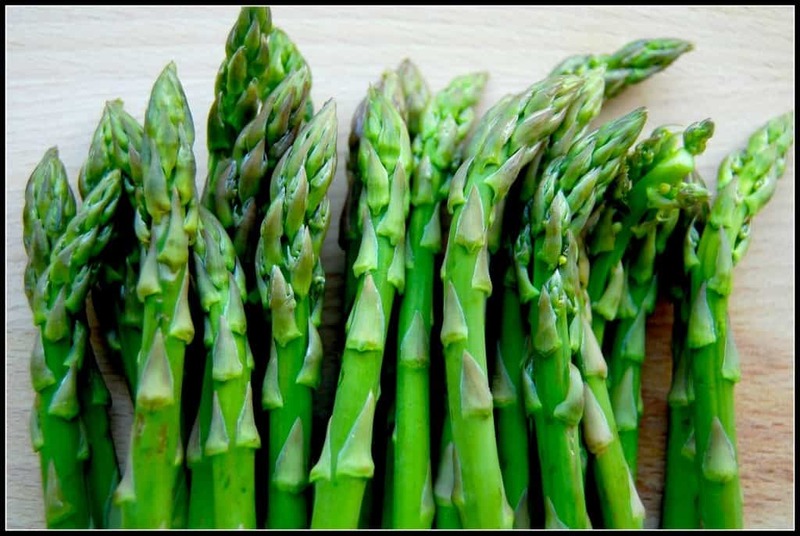 There are so many ways that you can prepare asparagus – steam, pan roast, oven roast, grill – do nothing and eat them raw. 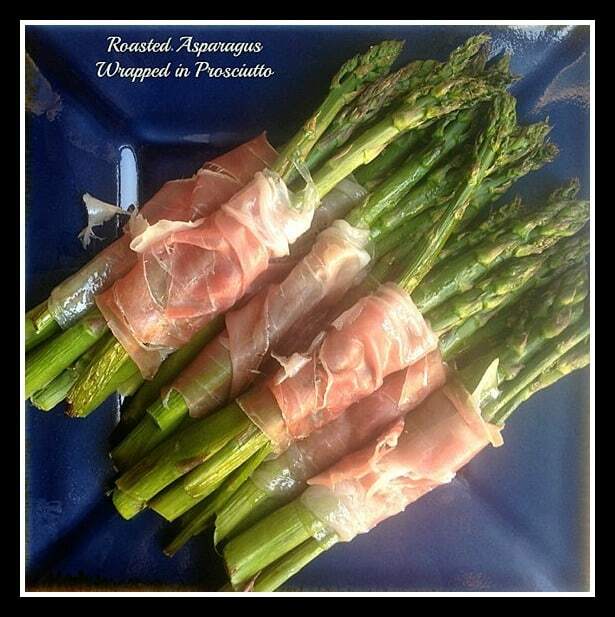 Raw asparagus wrapped in prosciutto is delicious for a light offering at a brunch but I prefer to oven roast them if I am serving asparagus at dinner. Roast the asparagus, cool it, wrap it in prosciutto. I feel silly even giving it to you as a recipe below … Make this. Your family will love it. Sometimes delicious ideas are better than involved recipes. Like you, I never get tired of asparagus and happily neither does my family. UNhappily I never had a steady supply from a garden. That is awesome! My dad is very proud of his asparagus garden! It’s HUGE! I never thought about it growing up – but I have to say I have never met anyone else who grows asparagus like that. Thankfully, my kids get to experience it now, too. 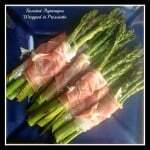 Asparagus is just coming into season and pairing with the prosciutto is such a great combination – perfect side dish!! Thanks, Debra! I am excited for all the new spring veggies! This is THE BEST way to eat asparagus, it’s the perfect spring dish! Simple real food is the best. This would be a hit at brunch. Thanks, Michelle! You are right! Especially since it isn’t served hot! You cannot beat asparagus fresh from the garden!!! Enjoy it!